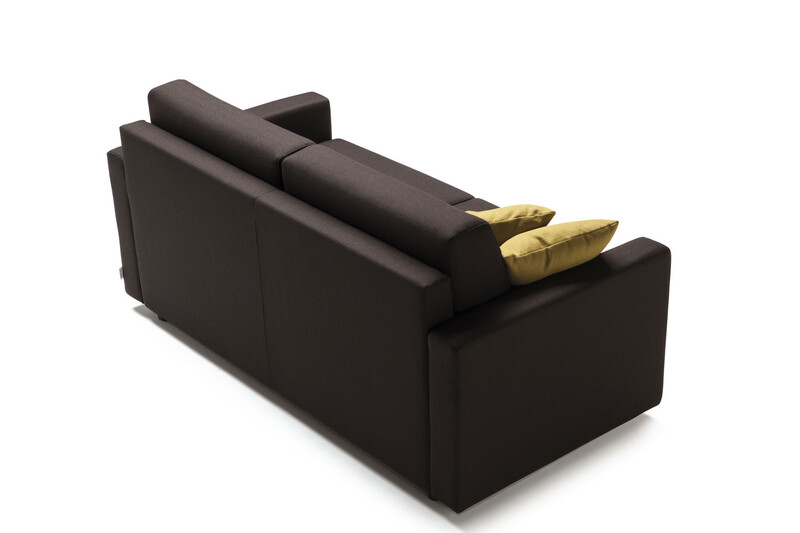 Jan is a convertible sofa bed with high mattress; a 18 cm high mattress with standard or pocket springs and made of resilient polyurethane foam or advanced foams. 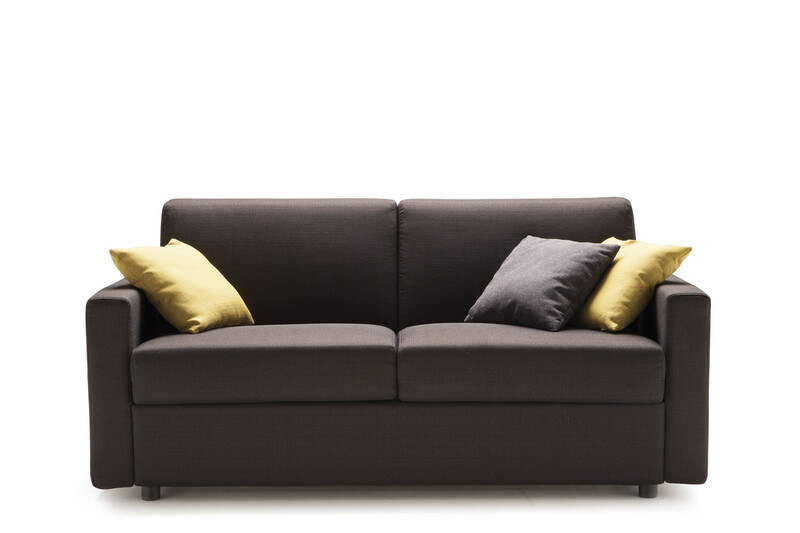 The wide range of mattresses available and their thick height make Jan a sofa bed suitable for a daily use. 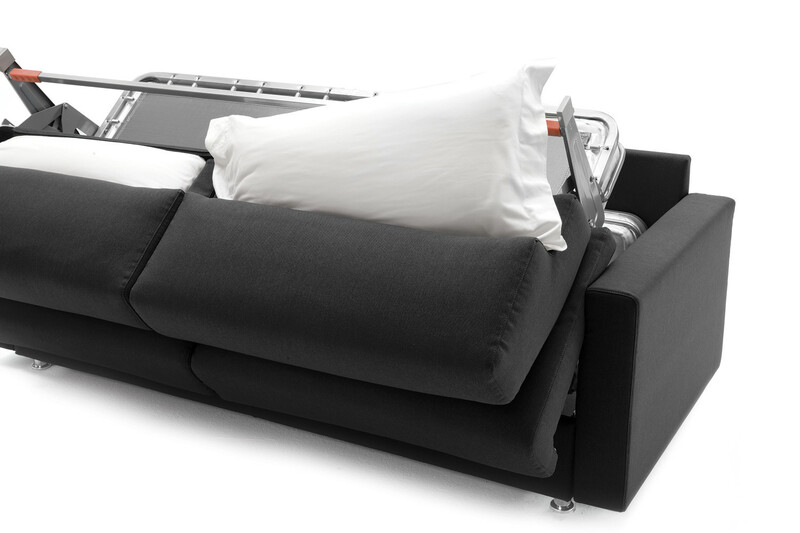 It is an easy to open sofa, ideal to be used frequently, thanks to the Lampolet mechanism safety and quality: to take out mattress and base you only have to tip over the backrest and open the bed pulling it towards the floor. Jan is characterized by compact and essential lines, that makes it ideal for home and office environments. 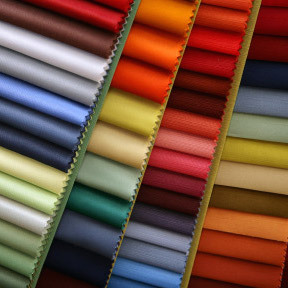 Depending on the environment and the space available, it is possible to customise the sofa by choosing between two armrest types and among several fabric, leather or eco-leather covers. Jan total width changes according to the armrests chosen, available in 4 models. The sofa bed is available in four models with different thicknesses. 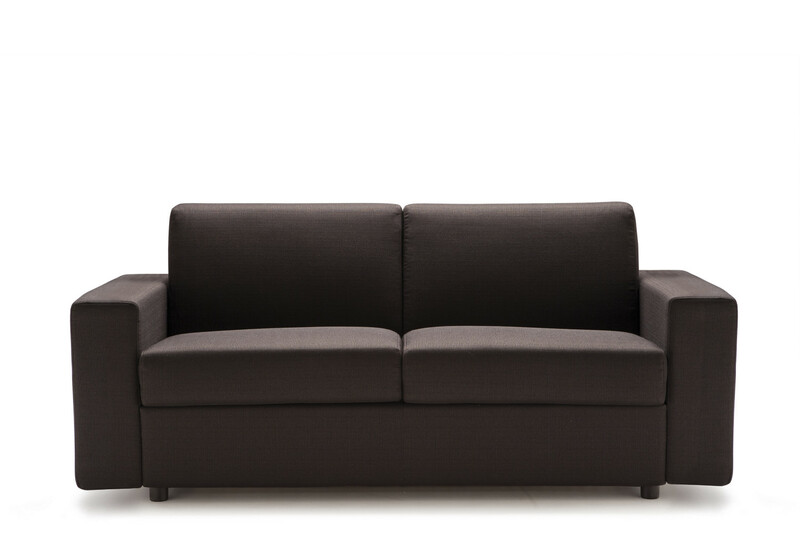 The sofa total width changes depending on the model, as shown in the measurements table. The seat measurements do not change. 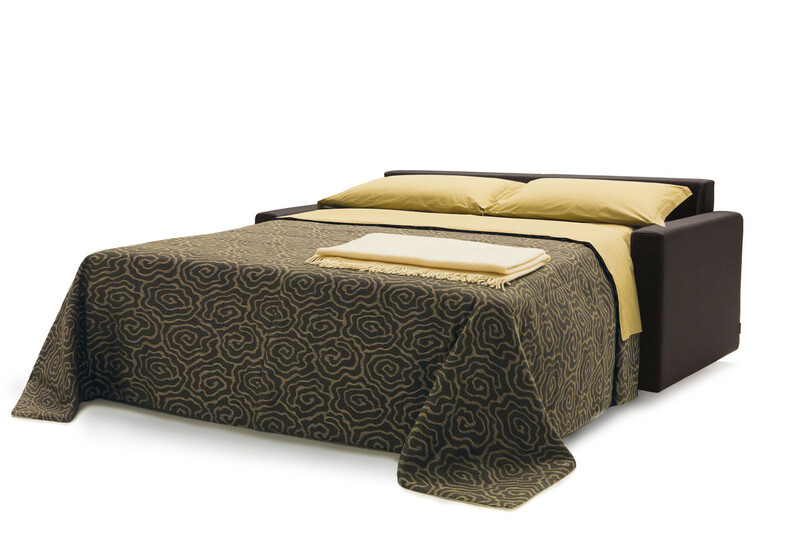 All models include a Standard Flex 2 h.16/18 mattress with a depth of cm 200 in resilient polyurethane foam. 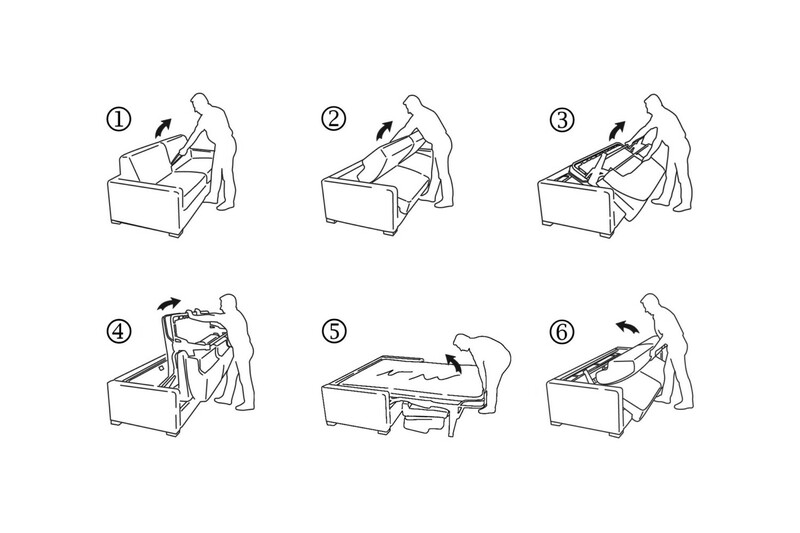 If you select the slatted base with self-adjusting supports, the Standard mattress will be a cm 14 high sprung model. Other mattresses with pocket springs and in polyurethane are also available in several heights, according to the model and the bed base chosen. See the confirguration menu for the complete list. Jan is available in fabric, eco-leather and leather in all the colours displayed in the samples page, and its cover is completely removable. Jan is equipped with standard black plastic feet that can be replaced with wooden or metal feet in three different shapes. 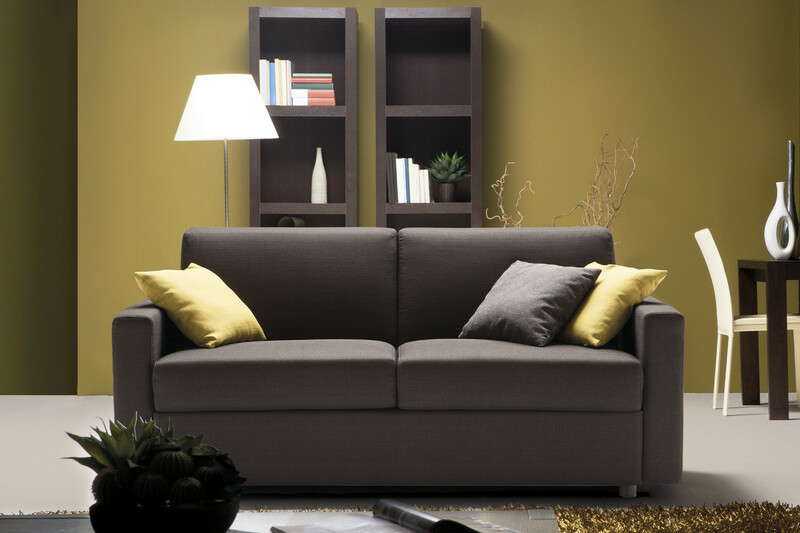 The sofa bed can be customised with a mechanism with casters, that if needed can be pulled out by using a handle hidden between the seat cushions and the armrests. 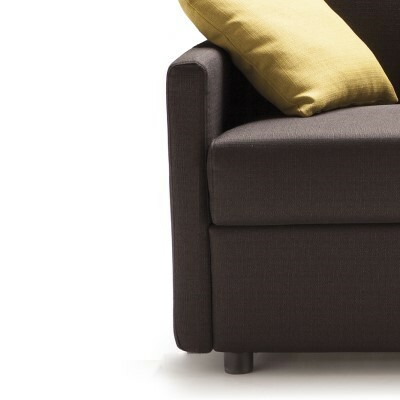 The seat is also available in a "Soft" version: the padding is softer and highly comfortable, it slightly changes the overall aesthetic look of the sofa making the seat higher and fluffier. 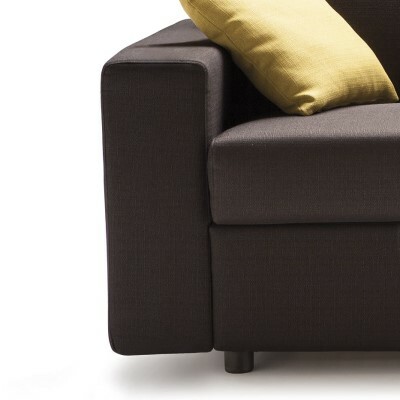 It is also possible to purchase a cm 50 h.14 d.14 headrest including a fabric strip to place on the sofa backrest in order to hold the cushion still with the body weight. Click here to customise and purchase the headrest (the link opens to another page). Please Note: the headrest can't be purchased from the configuration menu in this page. To purchase it, open its specific product card. 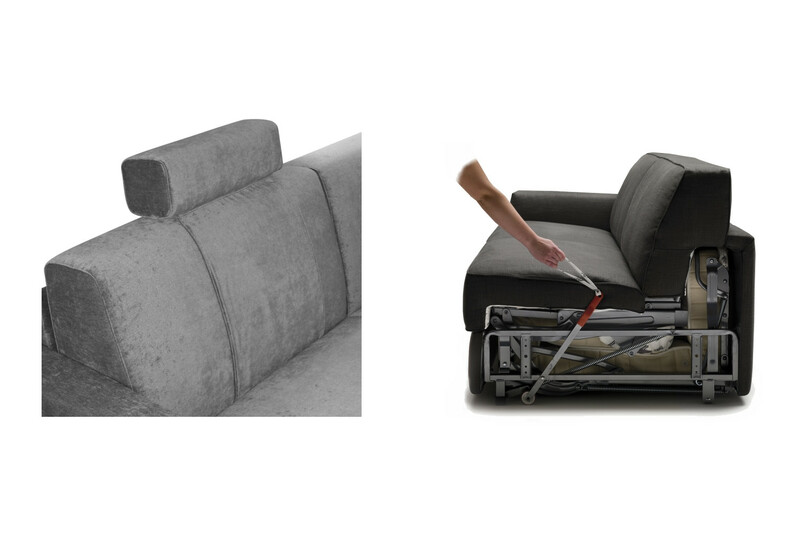 Mechanism or structure: high resistance furniture tube, oven coated with epoxy powders. Bed base made of plastic coated electrically welded steel mesh, fixed to the structure with springs. Soft seat with elastic webbing. Mechanism opening and closing in one time. Standard mattress: 21 kg/m³ expanded polyurethane covered 80% CO - 20% PL terrycloth, quilted on top and bottom with 400 g/m² 100% PL resin fibre and nonwoven fabric. 100% CO fabric band quilted with expanded polyurethane. Frame: backrest in fir wood, poplar plywood and elastic webbing. Armrests in fir wood, poplar plywood and particle wood. Non-bearing front panel in particle wood. Headboard in particle wood and solid fir wood. Seat: 25 kg/m³ expanded polyurethane, covered with 400 gr/m² 100% PL wadding and mm 2,5 quilted interliner. Headboard and front panel: interliner combined with mm 10 expanded polyurethane. 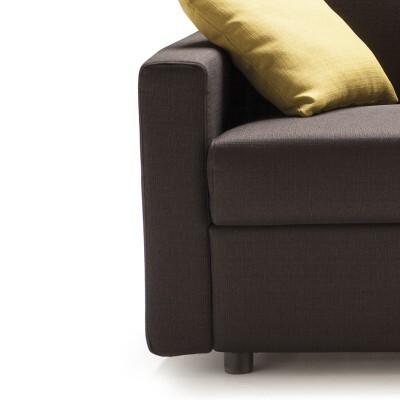 Armrests: 40 kg/m³ expanded polyurethane, interliner combined with mm 10 expanded polyurethane.